I-beam, handrail trusses, or box bridge designs allow for the most cost effective solution to meet your specific needs, and they are professionally engineered for any load/span combination. 3-D Solid Works modeling allows complete customization to accommodate all equipment with no interference and seamless maintenance access. Fully shop-welded, 40' sections are standard, allowing for the quickest installation in the industry, and conveyor stringer allows for seamless interface for the conveyor installation. 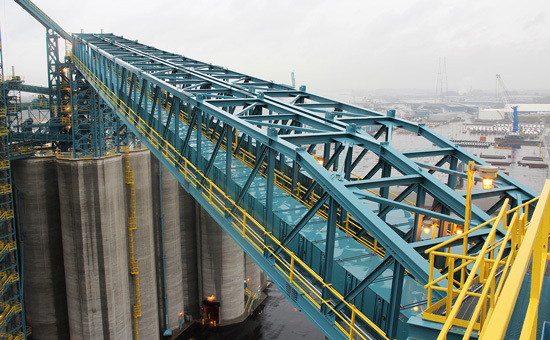 Multiple conveyors can be supported on either the top or bottom frames of box bridge, and trolley beams are available upon request for easy installation of the conveyor. Galvanized or custom paint specs are offered.